Sea Control operations require a delicate balance of protecting the hunters and releasing the hounds. Strike Group and subordinate staff’s tactical planning, general thinking, and day-to-day operations are biased toward the defense of a High Value Unit. This is a direct result of nearly thirty years of fighting from-the-sea not for-the-sea – or to use operational terms – existing as a power-projection force without the burden of first establishing maritime superiority through sea control operations. Future operations against peer competitors will require a different mode of thinking to understand the nuances of employing a strike group’s combat power where near-constant tradeoffs are required between offense and defense. Staffs must refine their thinking and improve their methods in three ways to make planning for Sea Control operations more effective. Planners must organize their tactical thinking around the joint battlefield and all domains of warfare to plan for sea control operations. Planning in terms of these functions (movement/maneuver, fires, protection, intelligence, and sustainment, and command and control (C2) will force staff members out of thinking about the tactical problem through the stovepiped Composite Warfare Commander (CWC) structure. Planners should appropriately balance limited strike group resources in a manner that sets task and purpose for each warfare commander to execute. Staff and planners require a framework to examine and visualize the tactical problems associated with establishing and maintaining maritime superiority operations. Wayne Hughes’ well-known work Fleet Tactics and Coastal Combat provides this inclusive framework. 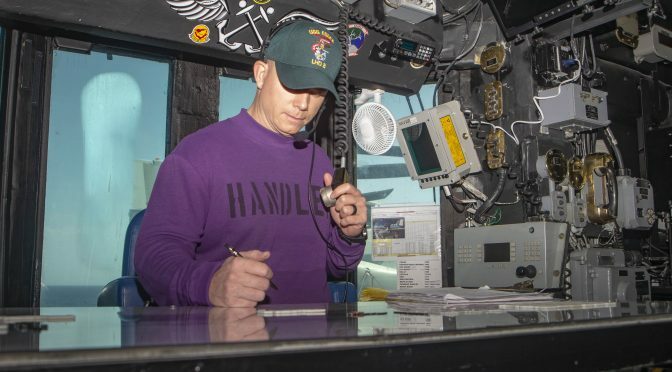 His methodology helps warfighters understand the resourcing tradeoffs necessary to establish and maintain the level of maritime superiority needed for mission accomplishment and effectiveness. And, more importantly, Hughes work can help staffs identify and capture risk in a manner that informs and communicates a commander’s risk appetite. The relationship between war and command of the sea is an important one. In an active state of conflict with another maritime power, naval forces compete for command of the sea, or as modern doctrinal language would call it, maritime superiority or supremacy. The navy that leaves the competitor unable to seriously interfere with their ability or achievement of their own objectives is said to have it.3 Corbett structures command of the sea in terms of degree. It can be general or local, temporary or permanent. This discussion of scope in terms of area and duration is important for planners to comprehend. The Fleet’s requirement to establish command of the seas are born of the necessity its operations support. Command of the sea comes with a price tag in terms of opportunity costs and scarce resources. Generally permanent command of the sea must be achieved throughout the theater of operations and it must be maintained indefinitely. This condition may be achieved only by the annihilation of the enemy’s capabilities and an associated set of resources and level of effort. Local temporary command more narrowly scopes the requirement in terms of a location and duration, tied to the necessary theater military objective of a fleet’s operations support.4 It is this more temporal control of the sea that is the providence of carrier strike groups and subordinate staffs, and may be met with a different set of resources and effort. It’s important for planners, regardless of the what echelon they work at, to ensure Corbett’s distinctions do not get lost. His nuances are important. Corbett’s degrees of command of the sea are directly tied to the operational and tactical discussions surrounding establishing and maintaining maritime superiority. The degree of maritime superiority required shapes a theory of control that is based upon its relation to the larger operation it supports. If the success of the entire operation requires unencumbered access to seaborne lines of communication, then planners need to develop a theory of control and dedicate the resources necessary to ensure that objective is met. If in a more limited conflict, the seaward approaches must be made available to enable timed seaborne fires and effects to set the conditions for land-based operations, then planners will need to develop a different theory of control and dedicate a commensurate set of resources to meet those objectives. In either case, the type and degree of command of the sea required is different. Thinking through command of the sea in this manner allows a commander to communicate risk appetite, establish task priorities, and help planners assign tactical tasks and intimately understand the extent of resourcing necessary to meet the condition. With a refined sense of the level of maritime superiority required for mission success, this rubric can be a powerful tool. It can help a staff visualize the solution to the tactical problem associated with establishing command of the sea, prioritize tasks, as well as further the scope and communicate risk appetite from the commander to subordinate units. Thinking through a sea control problem using this method allows the commander to assess available combat power and think through the maneuver considerations necessary to place it in position to achieve effect. Firepower and counterforce considerations allow a commander to think through how much firepower will be necessary to adequately attrite an enemy in the face of active and passive defenses. Scouting and anti-scouting considerations allow a commander to think through how much firepower must be taken away from the main body to find and fix first. By considering maneuver with these pairings in mind, the commander has an opportunity to look beyond stationing considerations and really dig into where the strike group and its assets need to be to attack effectively first with resources and task priorities aligned to risk. A Sailor’s thinking regarding operations at sea is informed by the Composite Warfare Commander (CWC) construct. The CWC organization is structured around warfare commanders and coordinators. Warfare commanders manage the defense of the carrier across various domains such as air, land, maritime, and space, as well as the information environment (cyberspace). Warfare coordinators manage common resources required by warfare commanders to enact those missions such as data in the case of tactical datalinks, aircraft, and ships as they are necessary to screen the main body. Operational Tasking (OPTASK) messages are drafted and generated to provide procedural controls put into action through command by negation. Each warfare commander has a modest staff that coordinates warfare responsibilities with the CSG staffs, as they are the primary point of entry for tasking from the Fleet Commander. This staff structure has proven effective for steady state operations for decades. The application of Hughes’ tactical model does not align well with the CWC concept. As a result, it is important to understand possible implications and the effects on planning for sea control operations. The notion of a CSG planning staff generating planning products that inform the Warfare Commanders’ execution loses credibility as the sea control fight drives the warfighting staffs to resource problems to the balance of offense and defense required to attack effectively first. The CSG staff and warfare commanders will be challenged to create risk informed and prioritized phased courses of action (COA) that are nuanced enough to be successful. Shifting the planning construct from a warfare commander-centric mode to one of joint battlefield functions (movement/maneuver, fires, protection, intelligence, sustainment and C2) may prove more beneficial. Achieving a degree of maritime superiority requires balancing offense and defense in the context of risk. It requires setting priorities. Hughes’ tool provides the framework to visualize the fight and communicate commander’s intent. Approaching COA development through joint battlefield functions will take advantage of the insights gained through Hughes’ model. Instead of each warfare commander and coordinator looking at a tactical problem through a narrow lenses of domain, battlefield functions afford a unifying approach to resourcing and prevailing in the fight. If the sea control problem favors preserving combat power for prolonged action on station, a bias toward a Hughes’ counterforce approach may prevail. This makes less scouts available to find and fix the position of enemy targets in favor of protecting the main body. It could also portend that maneuver and counter-C2 approaches take precedence over offensive considerations until the timing is right. Protection tasks take precedence based upon the nature of the highest probability threat, intelligence demand is shifted from finding targets to looking for indications and warnings, fires (air and surface launched weapons) are prioritized appropriately, and the force is dispersed and maneuvered in a manner that mitigates detection risk. Starting the planning dialogue from here is a much different approach than to have warfare commanders take a supporting/supported commander approach to develop a COA. It is not the point to propose a new operating construct. The CWC organization remains fit for purpose in most regards and would be impractical to change. Yet, introducing battlefield functions to staff planners across all echelons, to use in COA development, will complement their ability to plan for complex sea control operations. Effective sea control operations require staffs to understand the nuances associated with establishing and maintaining maritime superiority. A deeper study of the background thinking surrounding command of the sea affords planners a solid foundation to build tactical plans to achieve maritime superiority. The degree of maritime superiority requires a theory of control that is balanced between resources and effort to meet joint force objectives. The CSG Commander and his or her warfighters should consider incorporating Hughes’ thinking about maneuver, firepower, counterforce, scouting, anti-scouting, and command and control to help better understand and communicate their priorities and risk appetite to ensure its limited assets make that necessary contribution to that theory of victory. Battlefield functions as an organizing heuristic in planning over one that is warfare commander centric improves the understanding of the associated tasks and will lead to better CONOPS development. The Carrier Strike Group will be the primary maneuver element in the maritime based engagements of the future. Fleet Staffs will look to CSGs and their warfighters to provide the sustained combat power necessary to exploit sea control for maximum effect. Staffs must understand their contribution to this larger fight, communicate priority and risk both down and up echelon to win. These three small shifts in thinking could have much larger impacts on the lethality of every CSG’s ships, aircraft, and Sailors and their readiness to plan for battle in the future fight. Captain Bill Shafley is a career Surface Warfare Officer and currently serves as the Deputy Commodore, Destroyer Squadron 26. He has served on both coasts and overseas in Asia and Europe. He is a graduate of the Naval War College’s Advanced Strategy Program and a designated Naval Strategist. He thanks Lieutenant Commander Matt Noland for his continued dialogue on these important issues. These views are presented in a personal capacity. 5. CAPT Chris Senenko, LtCol Rob Gardner, and CDR Scott Croskey have been experimenting with this model with their Maritime Adavnce Warfare School students at the Naval War College. I am grateful for them exposing me to this thinking. Soon after inception, our personal networks pointed us towards the University of Chicago’s Booth School of Business, where they not only found a world class institution, but a strong veterans group. Leveraging the military experience and entrepreneurial education of recent veterans who are still engaged in national defense dialogue was a perfect fit. DEF2013 will be more than a conference to mingle and hand out business cards; it will be a unique opportunity to interact and connect with fellow military and veteran entrepreneurs to push your ideas forward. Sign up today at DEF2013.com, follow us on Facebook, and become a part of putting Disruptive Thinking into action.